On Wednesday 18 April at 8pm, Open Space presents suddenlyLISTEN's Collateral Tour at The Church of Truth, 111 Superior Street. This event is free and open to the public. In 2017/18 Collateral is touring Canada to celebrate the release of their independently released recording. There have been concerts in St. John’s, Charlottetown, and Halifax in November 2017, as well as spring shows in Rimouski, Montreal, Toronto, Vancouver and Victoria! 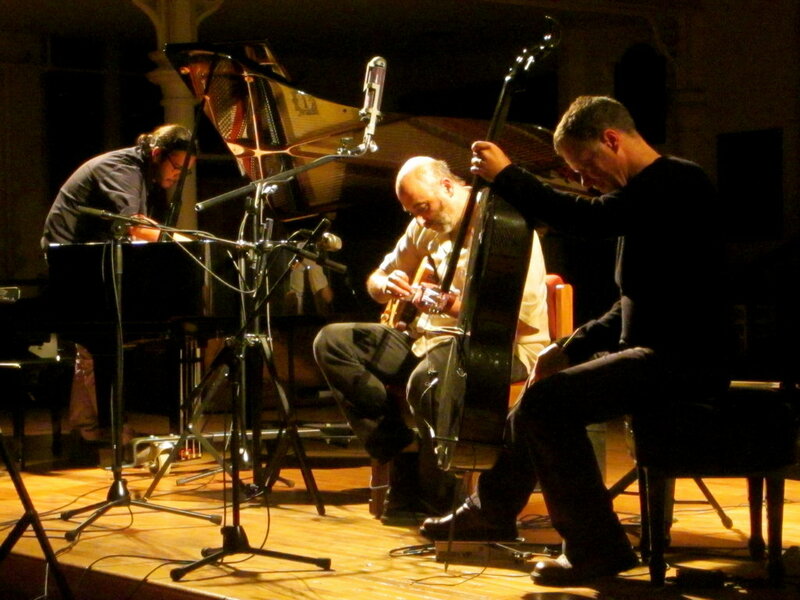 The tour will disseminate the special live music this trio makes, combining sounds of contemporary classical music, Middle Eastern reminiscences, and free jazz—all fused together with a very approachable result. The musicians play and create together with a wide variety of approaches to their instruments, from the most predictable sounds to fully extended techniques. The audience will hear the full range of musical execution happening simultaneously! The result is colourful, expressive and powerful.